DriverGuides Berlin | Wall down longer than it was up! My first memory of the Wall was in 1962. 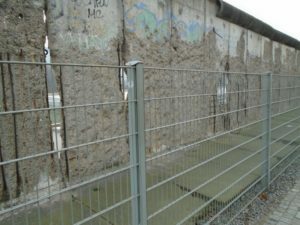 My family had moved to Canada and a kid on the block, having discovered that I had recently come over from Germany asked me if I had seen the Wall. Being a perfectly innocent little boy, more into toys and pets and so totally oblivious of political events that shook the world, I had no clue what this kid was talking about. But somehow I have remembered that question all these years. I eventually moved to Berlin in 1974. For me, the Wall was a part of the setup, a fact of life so to speak. I had no relations in East Berlin. Most people I came in contact with at university had come from West Germany to study, so one rarely met a „real“ Berliner. As a result, my grasp of the emotional hardships many of the locals were enduring was rather limited. Nope, it’s not all gone yet. Some remnants remain. It was only after the Wall had come down that I started to realize what it must have been like for Berliners at the time, to have their city arbitrarily cut in two. Knowing where the Wall ran, I sometimes picture what it would be like, if, by some whizz of a magic wand, the Wall suddenly reappeared. I would have to reroute entrenched paths, favourite coffee shops and restaurants would be out of bounds, institutions inaccessible, but above all, people happening to live on the other side would be cut off, for weeks, months, years, no one knowing for how long. Gruesome! 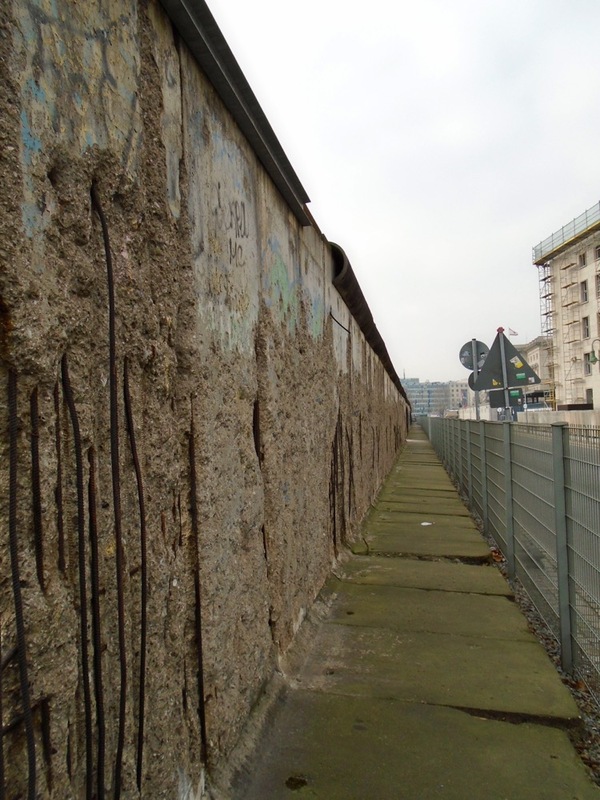 All the while we do currently have more urgent problems: Are the Wall souvenirs real? 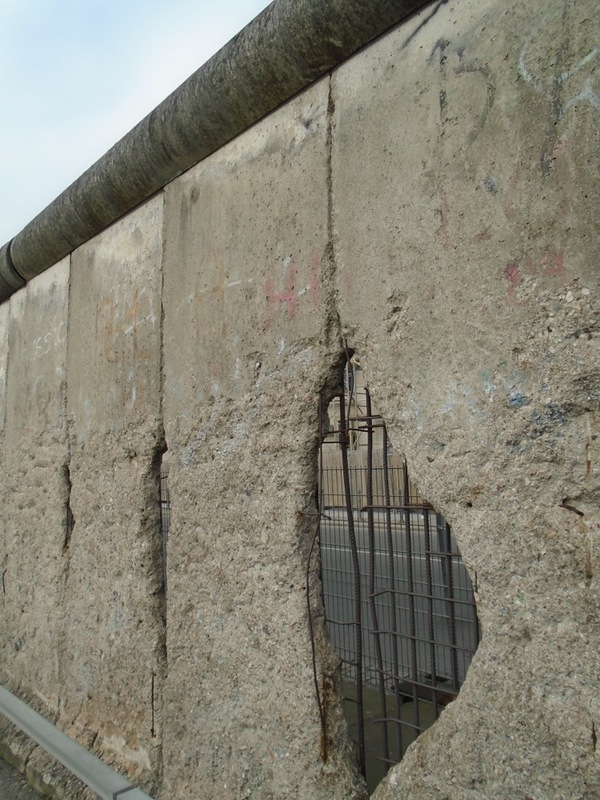 Well, Ralf Milke, a mineralogist in Berlin has developed a scientific method of analysis, using an x-ray-diffractometer (whatever that is), to ascertain the authenticity of Wall specimens. Here’s the good news: many souvenirs are authentic, and the bad news: many are not! In August of 1961, when this monstrosity was erected, who in his right mind could have possibly imagined that someday people would be debating if parts of it were real! Just to be sure no one steals the real stuff: today there’s a fence in front of the wall.